An angler had to be resuscitated after accidentally swallowing a fish he had just caught. 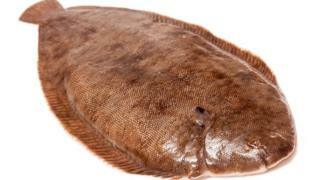 The man was kissing the Dover sole in celebration of his catch when the six-inch (14cm) fish wriggled out of his hand and jumped into his mouth, a friend said. The 28-year-old stopped breathing and suffered a cardiac arrest at the scene on Boscombe Pier, Bournemouth. Paramedics managed to remove the fish with forceps in an ambulance. Ambulance worker Matt Harrison said: "It was clear that we needed to get the fish out or this patient was not going to survive the short journey to Royal Bournemouth Hospital. Mr Harrison said the fish's barbs and gills became stuck but he eventually succeeded in extracting it in one piece. He said it was the "most bizarre" call-out he had ever attended. Ian Cowie from the group said: "He was kissing the fish when it jumped down his throat. It's a tradition to kiss your first catch." Paramedics managed to restart the unnamed man's heart at the pier after working on him for three minutes. Mr Harrison said: "We're all so glad the patient has no lasting effects from his cardiac arrest, which could so easily have had such a tragic and devastating outcome."